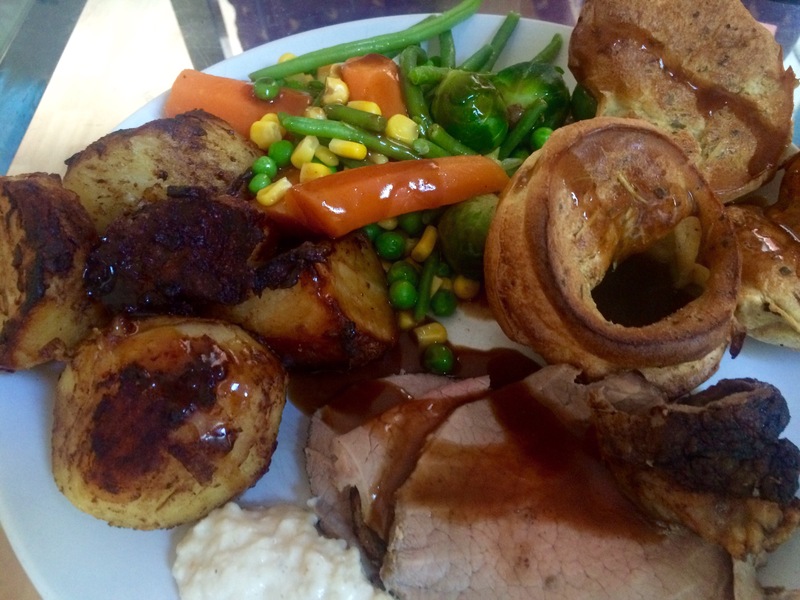 We haven’t had a ‘proper’ Sunday roast lunch for ages.. So it was high time we did..
Mrs Fitz went awalking with her pal and the hounds.. Over 10k country walk! That gave me plenty of time to get a nice lunch together.. So hanging out in my kitchen and listening to the Sunday radio.. Peeling spuds and chopping carrots.. 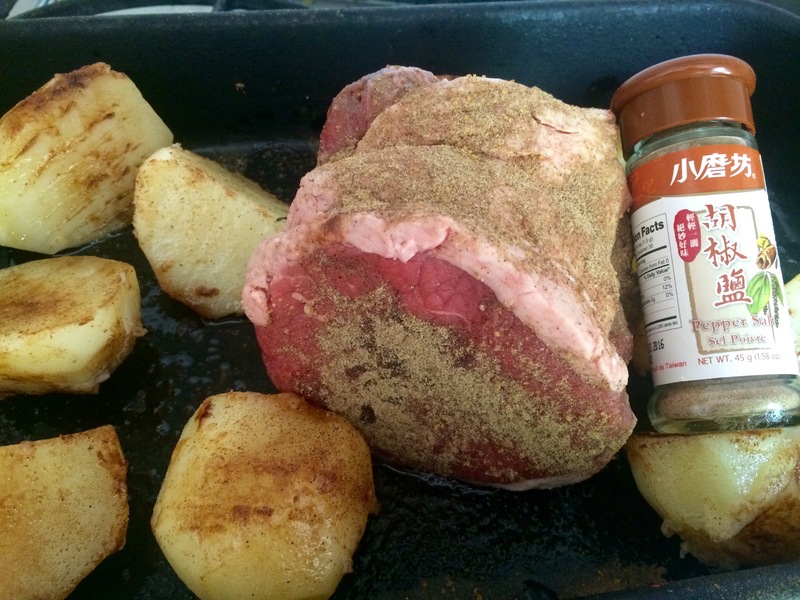 Beef is Mrs Fitz’s roast of favour..
First the spuds.. Peeled and boiled.. Left to cool.. Dusted in bisto powder..huh? 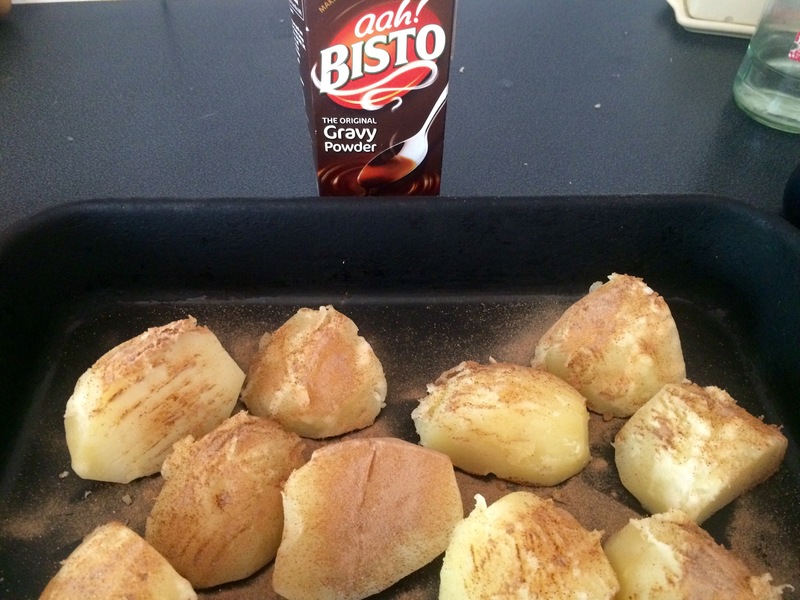 Yup.. Good ol bisto powder..
That will make them deep tasty.. Just using fresh sunflower oil to roast them as the beef is sitting with them also.. 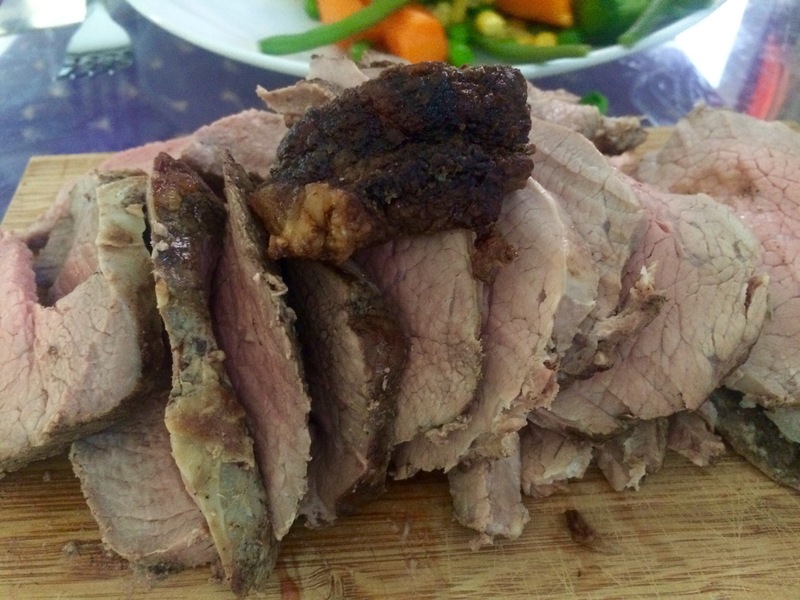 The beef is a nice cut.. Larded too.. And dusted in some great Japanese shakes thing I picked up on travels.. It’s got some liquorice in it.. And it goes great with beef.. Into the oven for fifty minutes.. 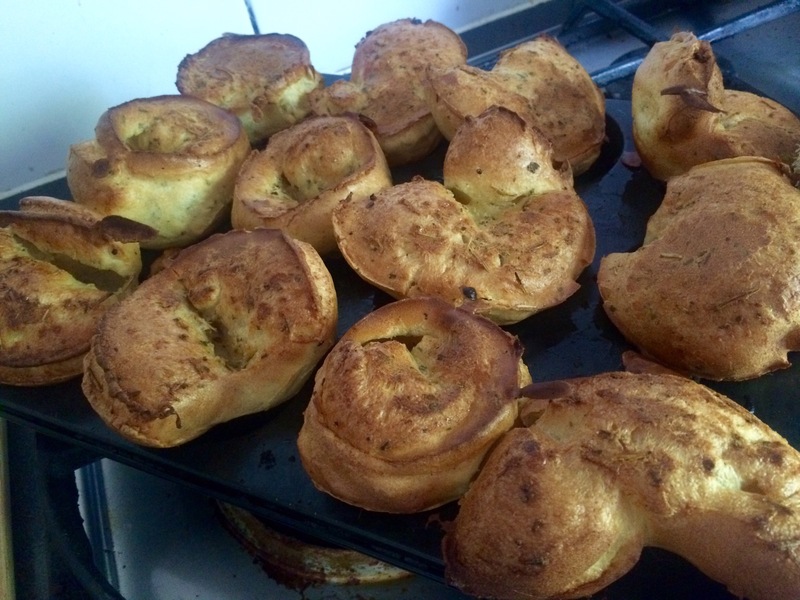 Beef taken out.. Yorkshire pudding batter whooped up and goes in.. And comes out like this! Spuds back in.. To crisp up while making the gravy.. Good stock and stuff boiled down.. The veggies.. Peas, carrots, French fine beans, sweet corn and Brussels. That’s gotta tick all the healthy eating boxes for sure! Easy cooking.. 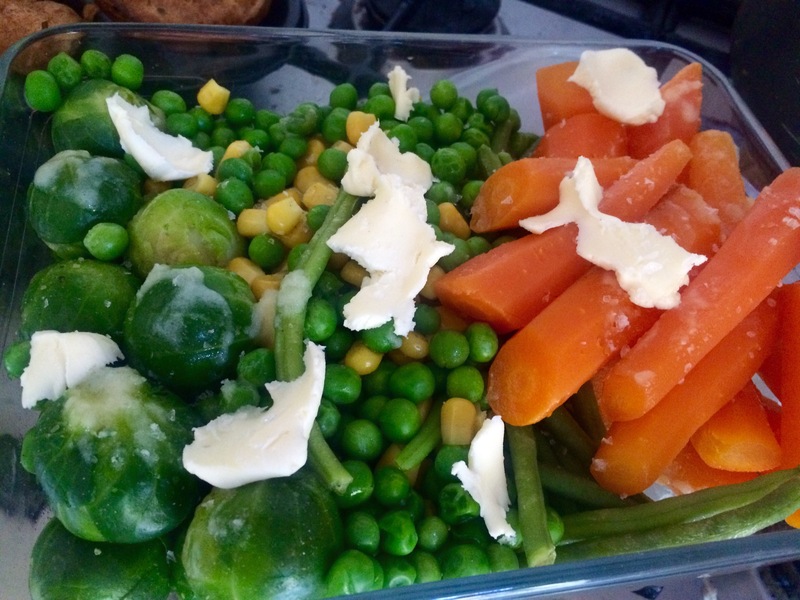 Chef ping deals with frozen veg the best.. Beef sliced up.. Not as rare as we like..juicy and tender though.. Lovely! And plated up..it’s a ‘proper’ a day lunch.. Served at a sensible time of day ..
We were both very happy .. Must make more roast Sunday lunches.. Must..
‹ Lamb shank surprise! and freaked up bread..